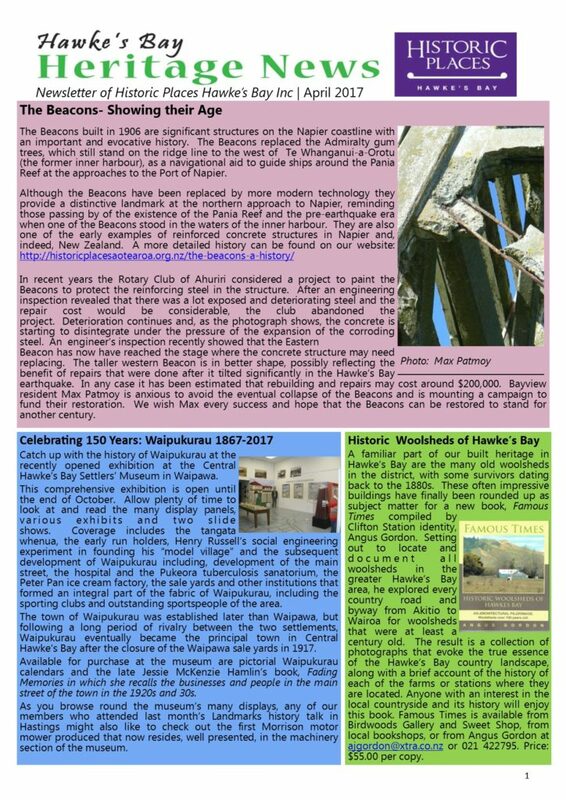 Historic Places Hawke’s Bay “HB Heritage News’ August 2017 is out! Submitted by mark on Wednesday, August 9th, 2017 at 6:03 pm. Submitted by Denis on Saturday, June 10th, 2017 at 4:48 pm. To read the full newsletter click onto the "Final" link below.